How Can I Learn to Find Positives in Negative Situations? In our previous post, we discussed how the biggest difference between those who experience success in their lives and those who don’t is their ability to view obstacles and setbacks as learning opportunities. Winners don’t just win because things are easy for them. Yes, natural ability certainly can help, especially in certain situations such as sports. However, every single professional athlete has lost, and lost many times in their journey to the top. Successful entrepreneurs failed or hit roadblocks in their first few (or few dozen) attempts. So why should you be any different? To win, you’re going to have to risk losing and when you do, it won’t be fun. And you might only see the negatives in your losing situation — and that’s what has to change. If you’ve ever had someone tell you, “Look on the bright side,” after something has gone wrong, you probably wanted to cover your ears or bop them on the head. I hate to break it to you, but that person was onto something, annoying as that may sound. Trying to find positives in every situation is challenging and someone telling you to is probably not going to help. Grab a notebook or your laptop and jot down something you feel is negative in your life and why. For example, suppose you lost your job and have been unable to find a new job. Your answer to # 1 is you are out of work and likely jeopardizing your financial future, and maybe your family’s too. Your answer to # 2 might be something like you can use this as an opportunity to learn a new skill, move to a more desirable location, grow a garden, volunteer for a cause you care about (which can often lead to new jobs!) or maybe pursue a new career entirely. Your answer to #3 might be something like you’re grateful to have more time to spend with your family, focus on your hobbies, or improve your health while you look for work. Start taking daily walks or bike rides or whatever activity makes you feel better. You’d be amazed at how even a little daily exercise can make you feel more positive. And who knows, a “silver lining” to your out-of-work situation might be you lose a few pounds. In summary, yes, you’re dealing with a negative situation, but if you review your notes and start recognizing the positives in the situation, you’re on your way to thinking like a winner instead of a failure or a victim of your circumstances. 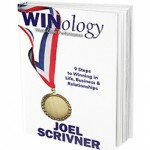 And thinking like a winner is a crucial first part of WINology! Click to learn how to think like a winner! Can you think of a negative situation where you found a positive? Let us know in the comments below! 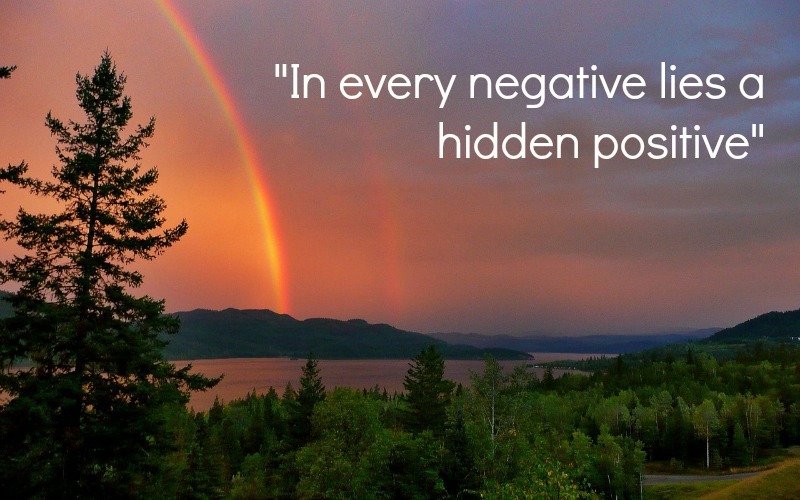 It's not easy to look for positives in negative situations. Follow these three simple steps to start learning how. When I got laid off from my job a couple years back, I was devastated and my confidence plummeted. To boot, it took me several interviews and about 6 months of struggling financially before I was made an offer. Looking back, I’m thankful for that situation, as it made me stronger and I LOVE my current job. I am currently watching my mom go through a difficult time, as she attempts to change careers in her 50s. It hasn’t been an easy road for her, but I honestly believe once she finds something, it will be worth it in the end. I keep telling her this and I know it is difficult to believe, but I firmly believe that persistence and a positive outlook will work miracles in time. I’m currently going through some difficult times personally and financially and stumbled across your post. It’s so helpful to be reminded of the power of a positive attitude.